MI vs RR Match Summary: It was a match to remember as for the first time an underdog team Rajasthan Royals had beaten 3 times IPL champion Mumbai Indians by 4 wickets at their home ground Wankhede stadium. Rajasthan Royals won the toss and opted to bowl first, it was a decision that badly misfired for the RR as MI openers pounded over the opportunity and milked the bowlers to all corners, they stood for yet another 50+ partnership in the match, but when things looked good for MI Rohit Sharma was dismissed at 47. Again a great start, but couldn’t convert it into a big one. Although, Quinton De Kock kept slogging the bowlers despite wickets falling at the other end, but missed his century by 19 runs. Only Hardik Pandya kept fighting till the end and took the team to a decent total of 187/5 in 20 overs. He remained not out at 28 of just 11 balls. Rajasthan Royals too came out with all guns blazing as both Ajinkya Rahane and Joss Butler took bowlers to the whiskers from the ball one. Ajinkya Rahane lost the way at 37, but it was Joss Butler and the merciless opener spared no one and stroked 89 runs of just 43 balls including 7 sixes and 8 fours. 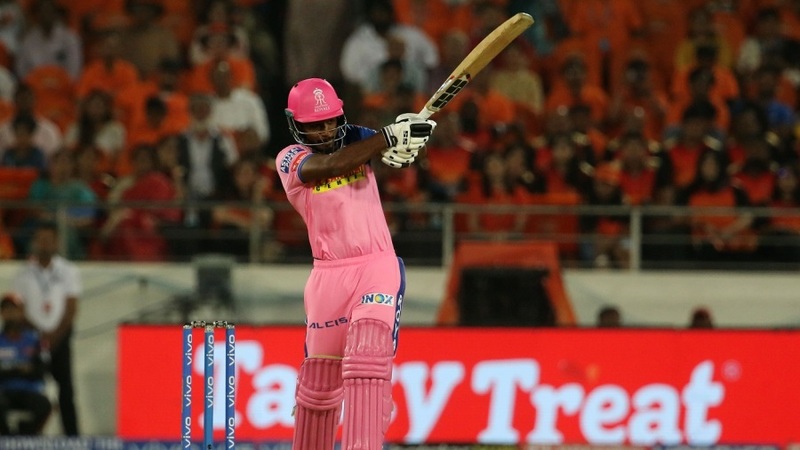 Although after the openers departure wickets kept tumbling at regular intervals, but in the end some fireworks by Sanju Samson and Shreyas Gopal paved the victory for RR over MI by 4 wickets. Joss Butler was declared the man of the match for his 89.